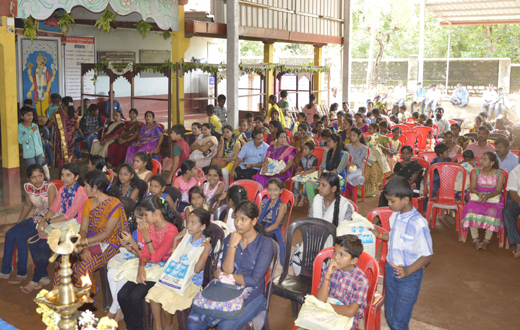 Mulki, June 16, 2018: A book distribution function for students was organized by Vishwa Brahmana Yuvaka Vrinda, Kolakady on Sunday 10th June at Sri Kalikamba Temple in Kulakady near Mulki. Books worth Rs. 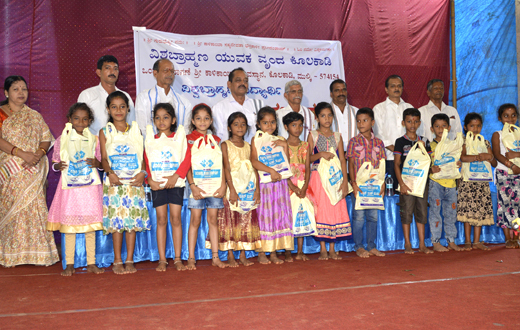 30,000 were distributed to 210 poor students belonging to Vishwakarma Brahamana community. 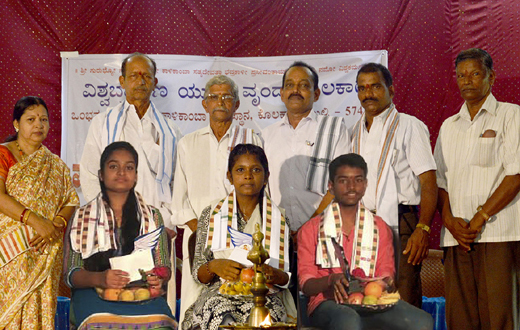 Sapna G. Acharya, Hejamady, G. Abhishek and Shwetha R. Acharya, Haleyangadi, three meritorious students who had scored over 90% in SSLC and PUC were also felicitated on the occasion. About 1500 students have availed benefit under book distribution scheme since 2000. Jayarama Acharya, convener, Vishwa Brahmana Yuva Seva Dala, Kulai was the chief guest on the occasion. Addressing the gathering, he called for unity within the community and urged everyone to extend cooperation to those who have taken up the leadership. Yet another guest of honour Purushotham Acharya urged the students to be focused on their education. The chief priest of the temple Devendra Sharma said character development should go hand in hand with one’s education. He appealed to the students to learn about the community, its culture and heritage. 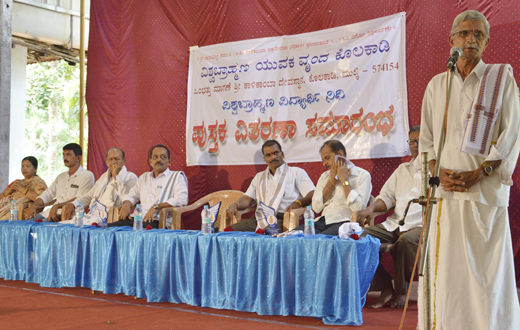 Managing Trustee of the temple Sudhakar Acharya presided over the function. Temple trustee Damodar Acharya Kolakady along with Satish Acharya, President of Vishwa Brahmana Yuvaka Vrinda, Rajeshwari B. Sooryakumar, President of Vishwa Karma Mahila Balaga, Vice President Venkatesh, Rajesh Kolakady, Praveen Kumar Uppikala, Ramanna Acharya, Kakkvapalke and other office bearers and members were present. 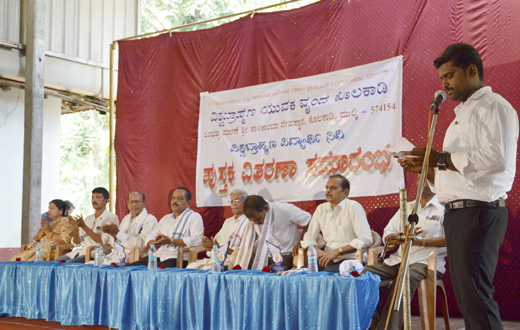 Shrikanth Acharya Kakva Uppikala gave the vote of thanks and Gananath Pakshikere anchored the programme.